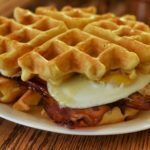 This easy recipe for a Belgian waffle burger makes for a delicious dish for either breakfast lunch or dinner, or a tasty snack at lunch time and is sure to be enjoyed by everyone. 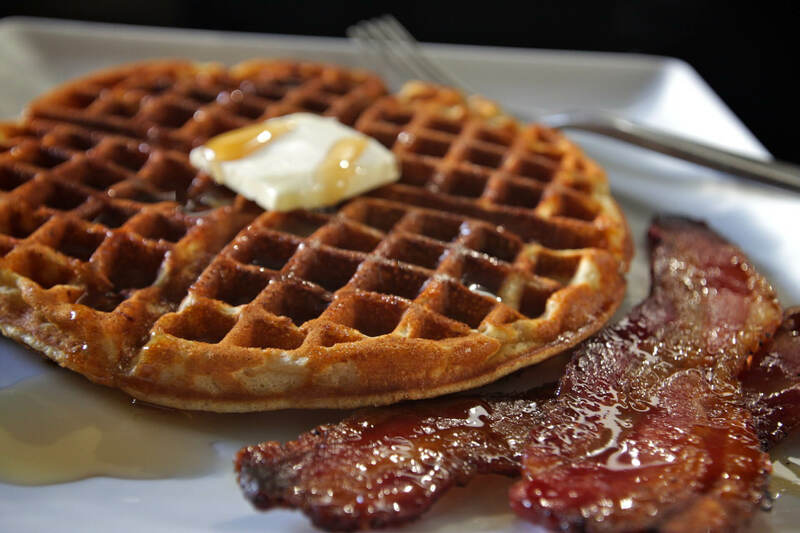 The Belgian waffles are a terrific complement to crispy bacon and perfectly cooked eggs. 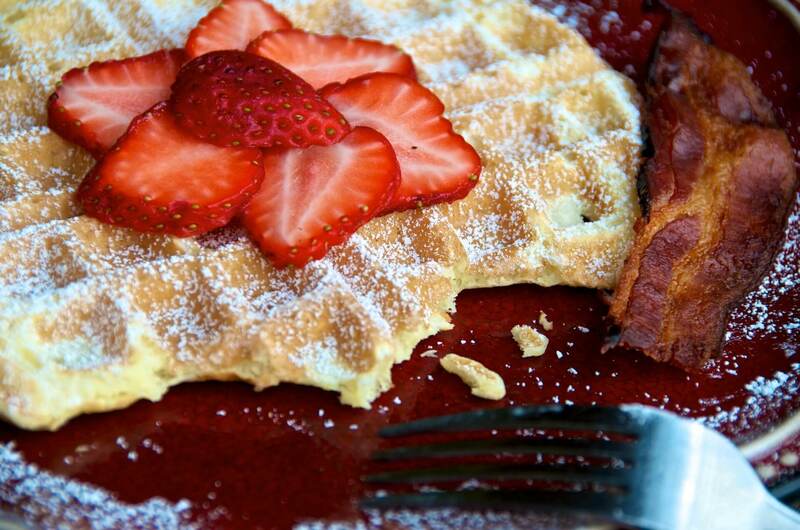 Cut Belgian waffles into rounds using a cookie cutter and allow 2 per person. Set aside. Place bacon under grill and cook for 4 minutes each side, or until browned and slightly crispy. Set on plate in grill with heat switched off to keep warm. Heat a little oil in heavy based frying pan at high heat. Turn heat to medium and carefully break eggs into pan ensuring that yolks remain whole. 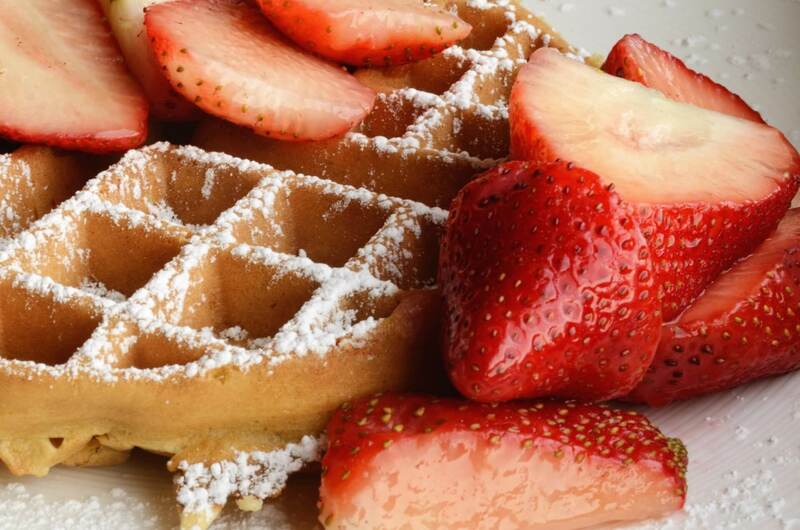 Pop Belgian waffles into toaster for a minute to heat. Cook for a couple of minutes using a spatula to flick oil over the surface of eggs to cook yolk. Turn if desired. Place one waffle round on each of 4 plates. Top with 1 egg each and season with salt and pepper. Add 3 rashers of bacon to each and top with other Belgian waffle round to create your 'waffle burger'.